THE BEST OF THE REST – CROATIAN WEDDING DESTINATIONS - Croatia Travel Co.
A wedding under the wide and starry sky by the sea or under a towering waterfall or in a fairy-tale medieval church on one of the many of the Adriatic islands… Such is the rich natural and cultural landscape of Croatia, the possibilities for a romantic and unforgettable wedding setting are endless. 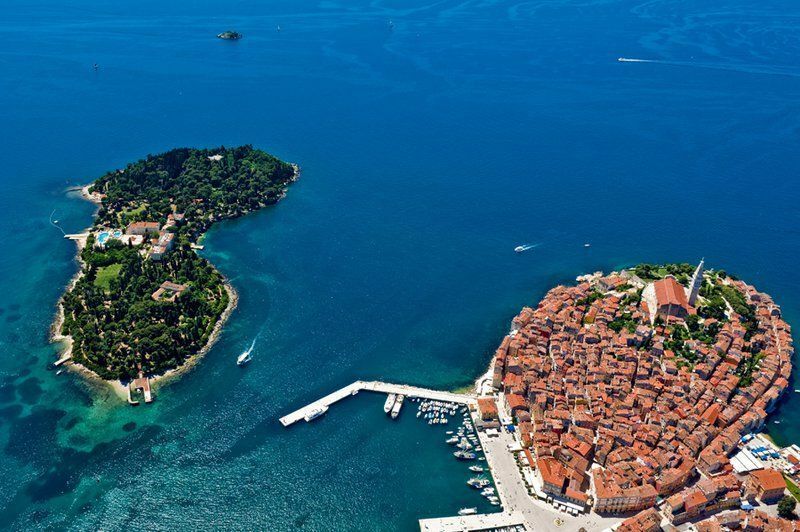 If we had to make a list at the top of it would have to be the mega destinations of Dubrovnik, Split and Hvar, and with their stunning historical buildings, manifold of picturesque settings and an exceptional pedigree you can see why. 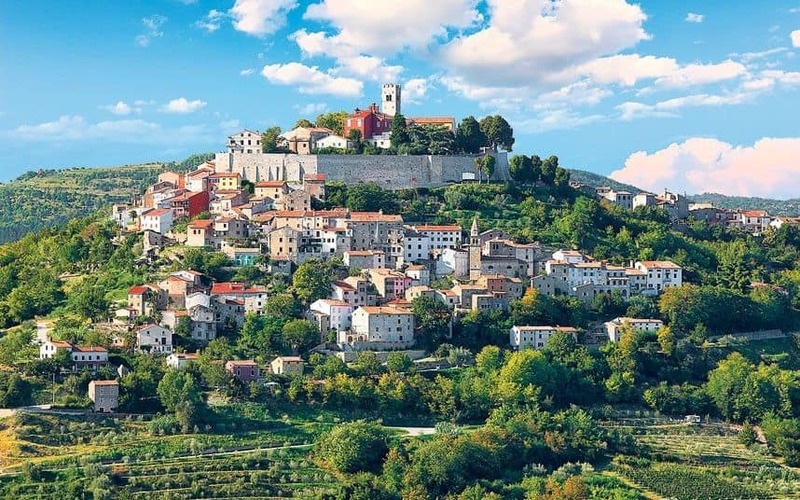 Perched on the hilltop overlooking the River Mirna Valley, this medieval Istrian town is the stuff of dreams. A long-standing favourite of Croatian couples, its popularity away from domestic shores is quickly growing. The Hotel Kaštel is experienced in hosting wedding parties from abroad and their staff can assist you with all that you need. 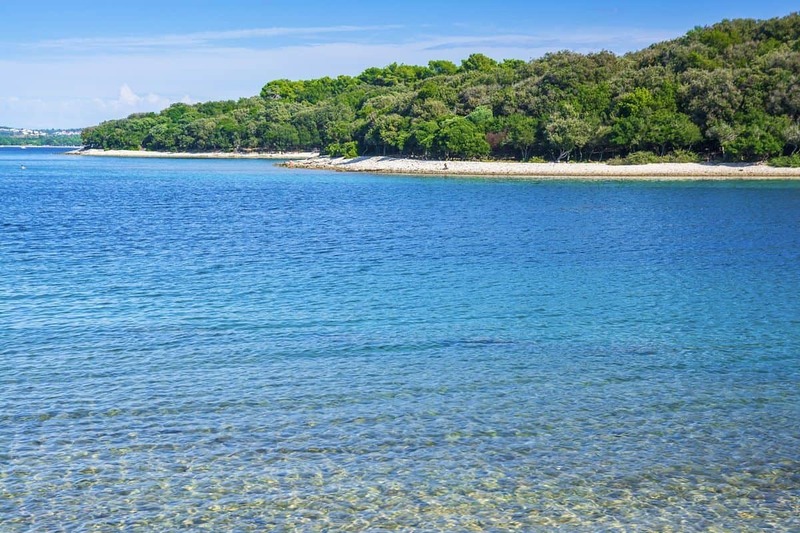 Once known as the place where President Tito entertained Hollywood’s golden couple Burton and Taylor, it is now reclaimed as a top tourist destination and a wedding venue operated by the National Park Brijuni. Ceremony settings include the Mediterranean gardens, the Church of St. Germain exhibiting frescos and Glagolitic monuments and the uber romantic ambience of the Verige Bay. 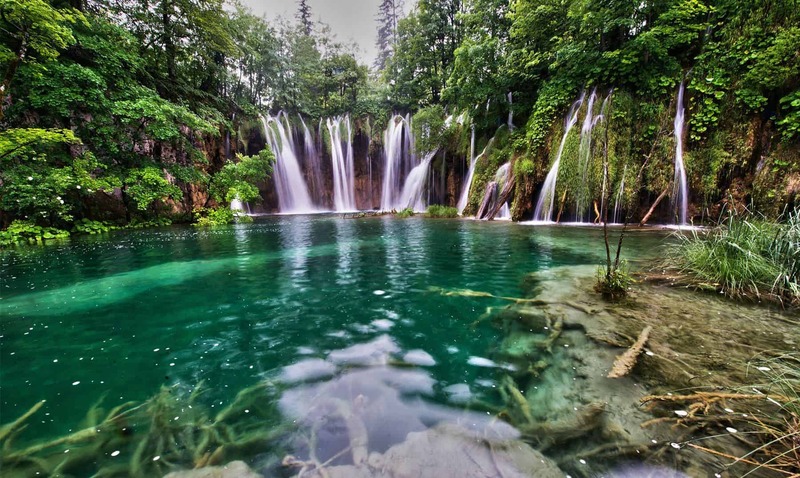 Famous for its mass international weddings until 1990, the National Park Plitvice has once again resumed its service to those wishing to exchange their marital vows at the foot of the 76-metre high Great Waterfall. Its top locations are Sastavci, where all the 16 lakes come together and form the River Korana canyon, as well as the banks of the Kozjak Lake. Martinis Marchi Castle on the island of Šolta near Split is considered a unique wedding venue on the Adriatic coast. This 300 year-old Castle surrounds a peaceful and intimate pool terrace where smaller parties and charming ceremonies can take place, as well as offering a magnificent Mediterranean park surrounding the Castle. 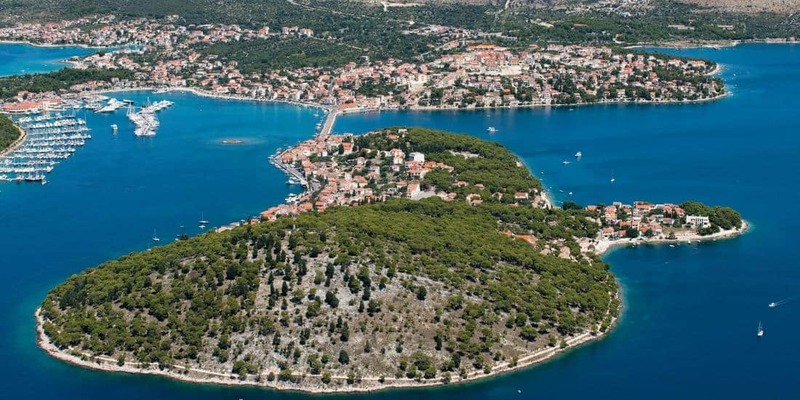 Just 15 minutes by boat from the buzzing centre of Rovinj, the Red Island is a sanctuary to more than 180 different plant species and a home to Hutterott Castle. This former summer residence of the Hutterott family used to be a Benedictine monastery and now has become one of the most sought-after wedding venues in Croatia. If you insist on a Saturday wedding you’d do well to book a year in advance. Village has it all for a perfect wedding photoshoot – the castle, churches and a bell tower. The large square by the castle is thought to be one of the most beautiful Renaissance squares in Istria and its 16th century Renaissance church a perfect wedding ceremony venue. 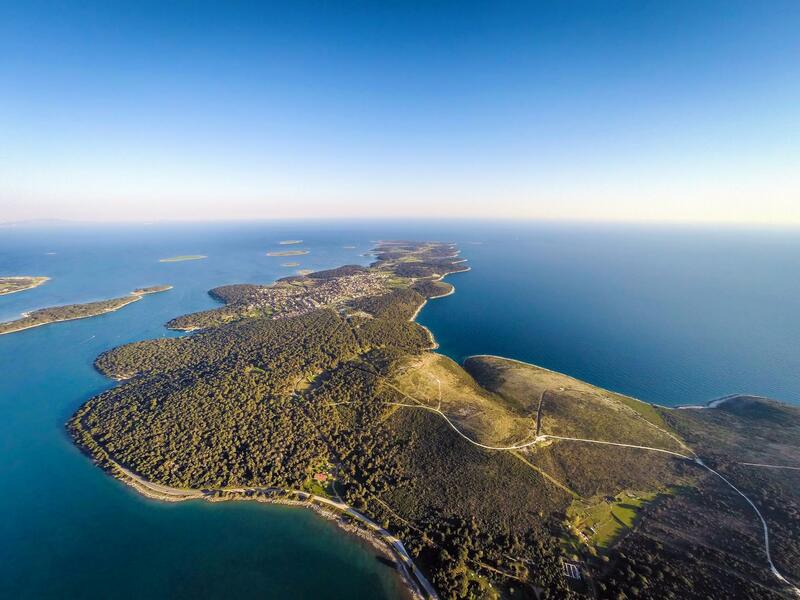 A nature park at the southernmost end of Istria’s 9 km long peninsula Premantura. This is a gloriously unusual landscape with miles of rugged coastline and beaches, coves and caves to choose from for the perfect setting. Your big day might even be blessed by a school of dolphins or Mediterranean monk seals swimming of the coast. This small medieval town has no less than four historical churches and a fountain well in the centre square that can be reached via two parallel roads. The Church of the Holly Cross is on the main square and the nearby viewing point Belvedere is known for the most wonderful sunsets. Top marks for romance. 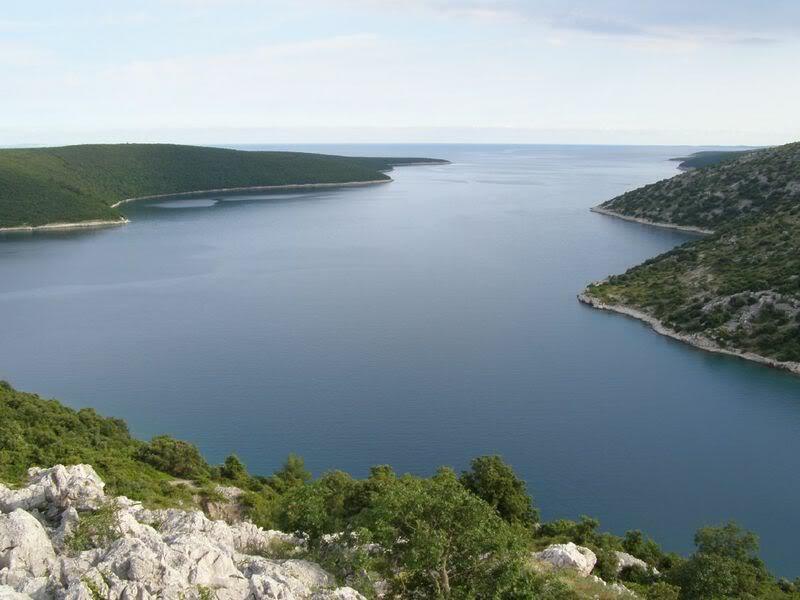 Rakalj is situated on the banks of Raška Channel on the Istria’s east coast. Surrounded by a beautiful landscape, sea, sun and peaceful, secluded beaches, its atmosphere is one of freedom and intimacy. The St. Agnes’s Church from 1495 is a perfect venue for a wedding ceremony. This truly is one of Istria’s hidden gems. Gračišće is a medieval town situated among the rolling hills and filled with a great set of historical buildings. Its centre dominate the Church of St Mary from 1425 and the Romanesque Church of St Euphemia from 1383. But even if you forget the history and architecture you’ll never forget the view as you leave the church – the expanse of Istrian hillsides meeting the Učka mountain range in the distance. So thats it for today, remember “Getting Married in Croatia” is your best option. Travel Writer at Croatia Travel Co.
Gorana Nađ was born in Zagreb, Croatia in 1971. Studied journalism at the Zagreb University and lived in Croatia, UK and Australia. Currently discovering all she never knew about road cycling and still not bored. Not one little bit. Share This Story, Choose Your Network! Aquí en Croatia Travel Co. creamos experiencias a medida de acuerdo con las necesidades e intereses de cada persona. La siguiente selección es un ejemplo de lo que podemos hacer – proporcionar visitas personalizadas de Croacia diseñadas para compartir con ustedes una experiencia única.